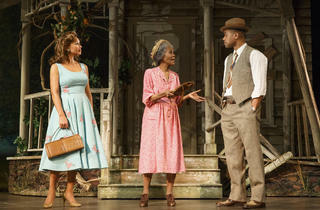 Theater review by David Cote. Stephen Sondheim Theatre (see Broadway). By Horton Foote. Dir. Michael Wilson. 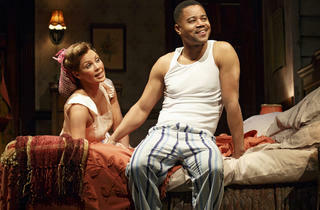 With Cicely Tyson, Cuba Gooding Jr., Vanessa Williams. 2hrs 20mins. One intermission. 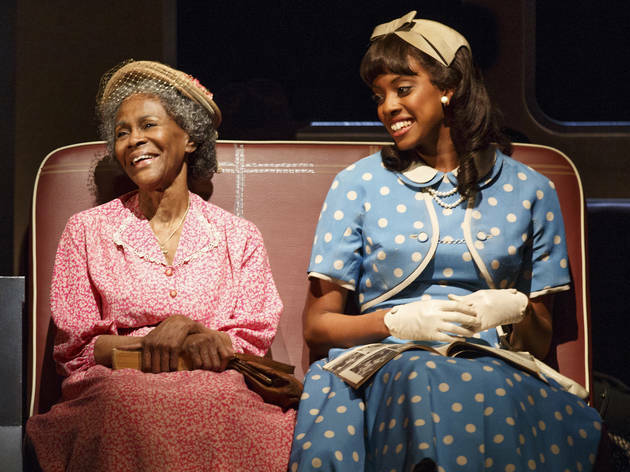 Cicely Tyson may be small of frame and advanced in years, but she can still bust clear through a wall. 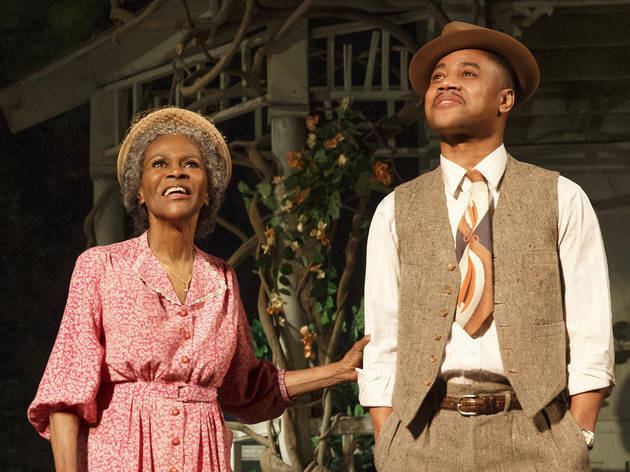 The fourth wall, I mean: the one that separates the audience from Horton Foote’s wistful, beautifully wrought diorama, The Trip to Bountiful. Tyson’s illusion-shattering moment comes in the second act of this 1953 teleplay-turned-stage-drama. Carrie Watts (Tyson) is in a bus station trying to get back to her hometown, which she has not seen in 20 years. 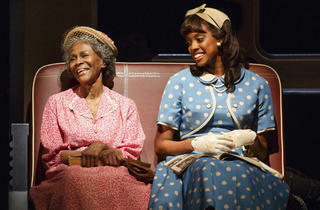 She sits with Thelma (Condola Rashad), a kindly young woman keeping an eye on the wandering senior citizen. Hymn-loving Carrie starts warbling “Blessed Assurance.” Before you know it, Tyson is leading us in the chorus. 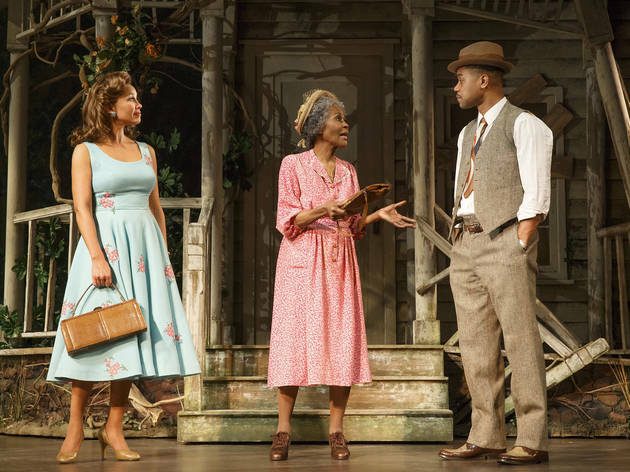 It’s a brief interaction, but a joyous sign of how director Michael Wilson and his outstanding cast have found fresh pockets of emotional connection in an American classic. 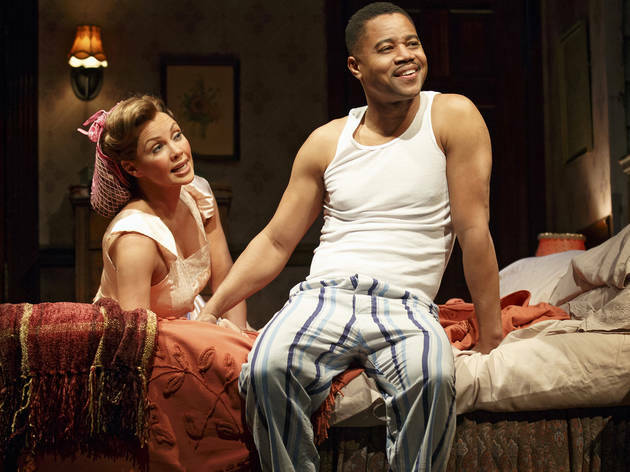 Bountiful is traditionally done with a white cast, but this revival—which features Cuba Gooding Jr. as Carrie’s dissatisfied son, Ludie, and Vanessa Williams as her vain daughter-in-law, Jessie Mae—is utterly true to the spirit of the piece. There are period details—a ticket-counter sign that reads colored only and a white sheriff (Tom Wopat) who treats Carrie with a touch of standoffish condescension—but that’s pretty much it. 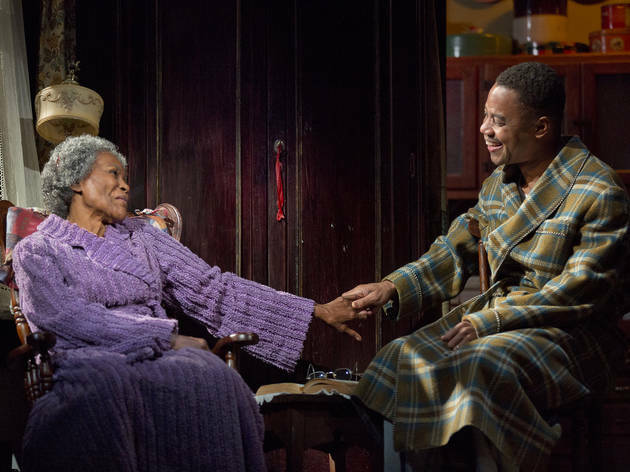 The emotional stakes are rendered with vivid hues—the folksy comedy is sharper and the nostalgic pathos cuts deeper. 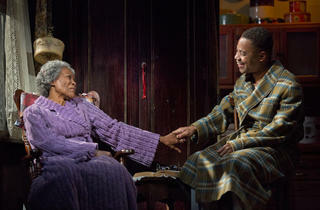 Rashad is understated and touching as Carrie’s temporary traveling companion, a new bride with a husband off at war. 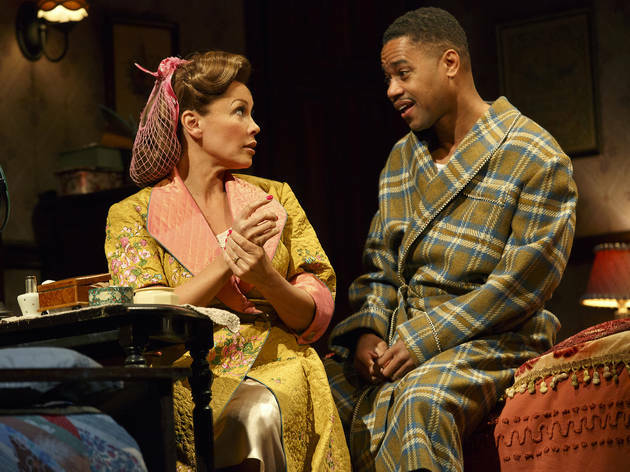 Gooding and Williams flesh out their roles with acute sensitivity and humor. 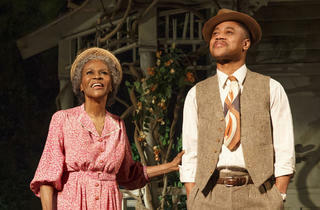 2013 Tony Award nominee. 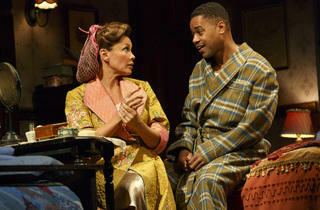 See our guide to the 2013 Tony Awards.